A military vest with lace seems an unlikely combination, but in this anything goes world of fashion, it works. 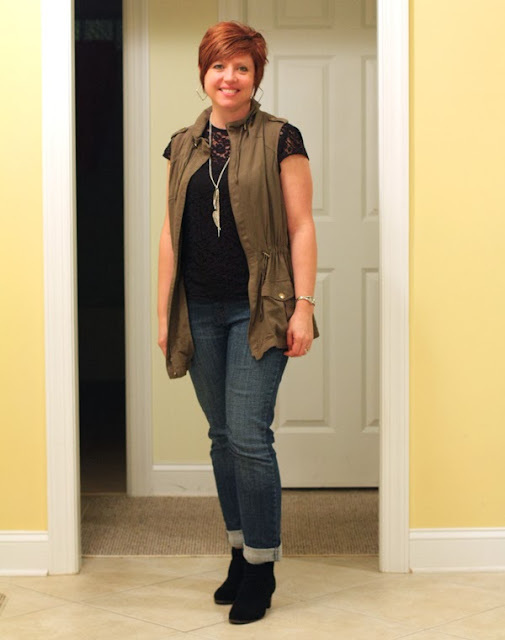 The lace keeps the vest and overall look feminine. While the rest of the country was freezing, we were having a heat wave, so yes, I really wore this last Saturday. So cute! 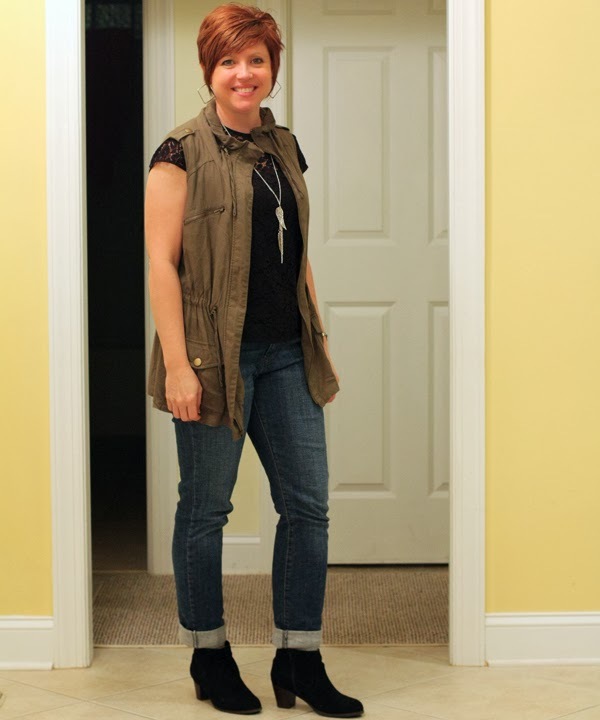 I love your vest, and the booties too! Stopping by from WIW, and inviting you to linkup with me on the blog! I host a style linkup on Weds...hope to see you there. XO!